Heli Goode graduated as a medical doctor in her native, Estonia, specialising in ear, nose and throat surgery. More recently, Heli took an interest in complementary medicine. While she thoroughly understands the value and importance of orthodox scientific medicine, she still feels her medical expertise and education is not complete without an additional knowledge of ancient healings, such as Acupuncture and Herbalism. Heli has studied Naturopathy, Homeopathy, Herbal Medicine and Acupunture. 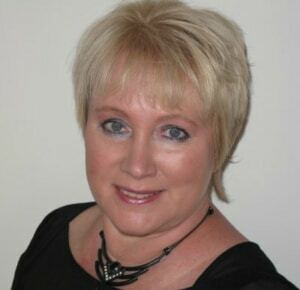 She is also an experienced clinical Hypnotherapist. In order to get to the root of the problems, she uses a unique holistic patient-orientated combination of several different diagnostic tools and methods. Heli has written several articles about integrative medicine and the best ways to stay healthy and younger for longer. Heli is a regular speaker at Ragdale Hall, keeping the guests informed about health matters, lifestyles and therapies. Find out more about the ins and outs of hypnotherapy by reading Heli Goode’s interview with the Good Spa Guide here. All treatments listed in the wellbeing – holistic and health section are conducted by specialist practitioners and are subject to availability and therefore not available on all days of the week. Pre booking is therefore essential. “I really just did not know what to do in regards to my weight etc. Well thanks to you I have successfully lost 2 stone and 3lbs so far, and this has really boosted my confidence – it is great to be wearing a smaller size in clothes”.